Mercato Centrale's addition to the epicurean sphere fostered a lot of enthusiasm in food business and consumers alike. For the foodie-at-heart, like me, it is not just a gastronomic feast but an opportunity to introduce some of the country's up-and-coming and interesting food concepts. I've been a witness to the growth of popular chains such as Manang’s Chicken, Merry Moo Ice Cream, Mochiko, Brasas Latin American Street Food, Spring by Ha-Yuan, Kristina’s Premium Inutak, and my personal fave, Baked by Anita. Like many others, they started off as food stalls in MercatoCentrale before they became successful food entreps..
That concept when many tries to inch in to venture into the multi-million food industry, and a private entity comes along opening up a centralized venue for new food discoveries, giving home-based businesses a venue to show off their specialties. Building on its commitment to support food entrepreneurship, Mercato Centrale brings back its much-awaited “Next Big Food Entrepreneur Contest” along with www.ourawesomeplanet.com, Mastercard, Globe My Business and partners Entrepreneur Magazine, Yummy Magazine, Yummy Ph, Philippine Star, WhenInManila.com and Go Negosyo. The Next Big Food Entrepreneur, now on its third bout, is a contest of culinary showdown that provides an opportunity for budding food entrepreneurs from all walks of life to turn their food business concepts into reality! 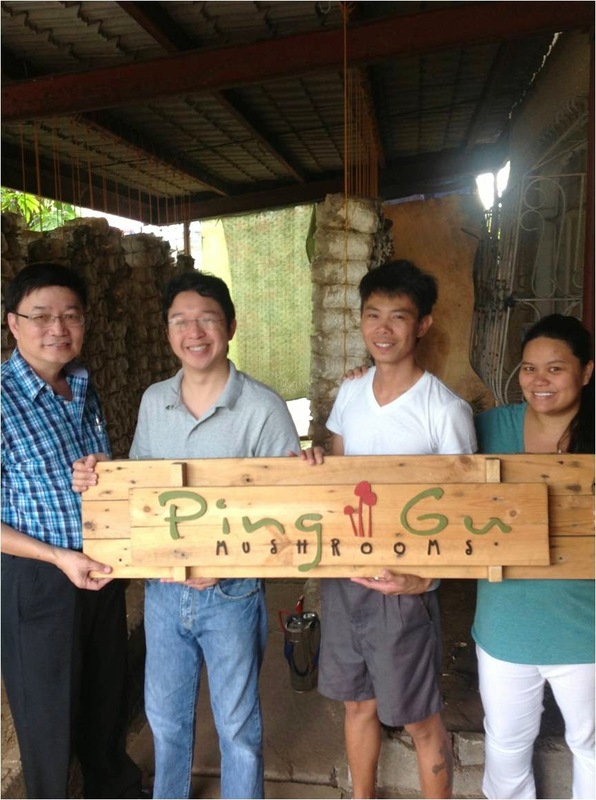 The photo above shows the first grand prize winner of the Next Big Food Entrepreneur Contest Ping and Jewel Joven of ‘Ping Gu’ Mushroom Fries together with Armando ‘Butz’ Bartolome of GMB Franchise Consultancy and Mercato Centrale co-founder RJ Ledesma at the Joven’s mushroom farm. The winner of the contest will get PHP 100,000 start up capital, a rent-free stall in Mercato Centrale for six months, and a feature in Entrepreneur Magazine, Yummy, The Philippine Star, WhenInManila.com, Globe My Business Digital and Our Awesome Planet. Mercato Centrale now opens the much-awaited foodie event for the passionate cooks and bakers who had a pioneering food concept, unique style of cooking, or a secret or heirloom recipe that they ‘incubated’ in the Mercato Centrale food market. 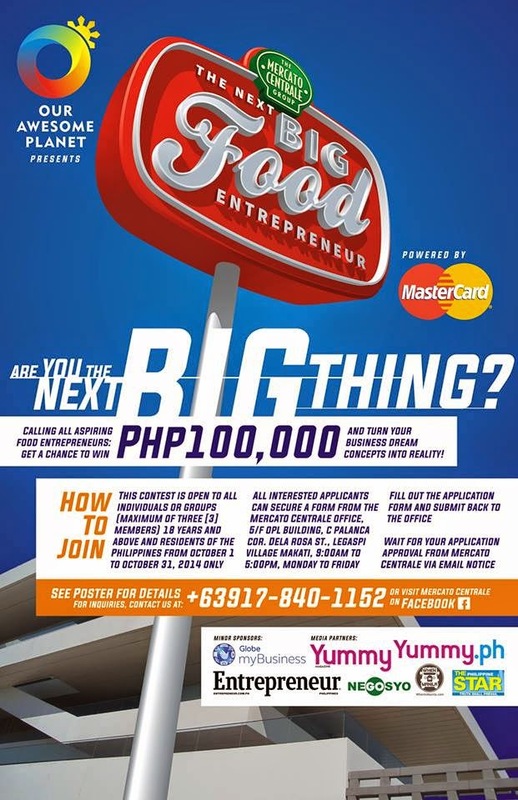 If you are that aspiring food person entrepreneurs, with a ages of 18 years old and above, residing in the Philippines, then this news is for you. The contest is divided into three parts: a food taste test activity for all interested participants, a four-weekend open market selling event at Mercato Centrale, Bonifacio Global City for all participants who pass the taste test, and finally, the submission of a business plan. The cut-off for all interested participants for the food taste test is October 31, 2014. For more information on how to join the contest, please visit Mercato Centrale on Facebook, https://www.facebook.com/mercatocentrale, or contact +639178401152 or +6329175857989.